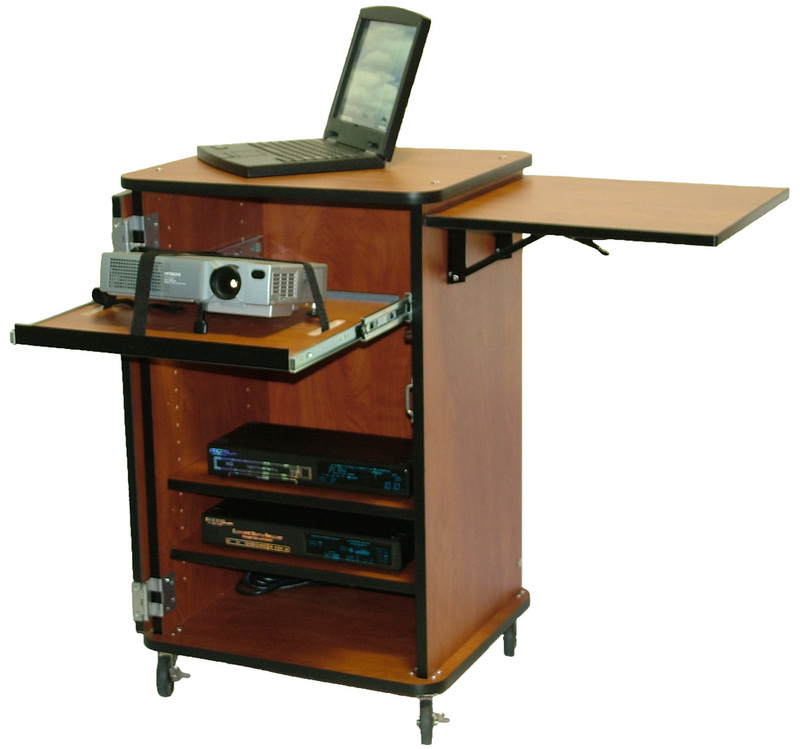 The PSC series gives technology coordinators and instructors the flexibility to deploy a compact, custom cart packed with features that meet their specific needs. Customizable features include projector or regular pullout in various heights, side folding and internal shelves. In addition to these great features, the PSC fits in small spaces and has locking storage & built-in power.